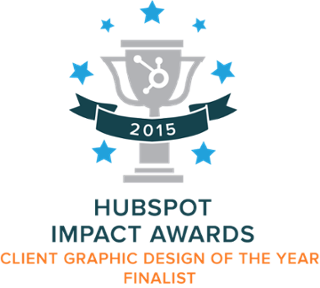 Stratus Interactive announces that they have won the HubSpot Impact Award for Best Client Landing Page and were named a Finalist for Client Graphic Design of the Year. Hailed as the most user-friendly and forward-thinking inbound marketing software platform, HubSpot provides businesses a powerful and integrated suite of marketing and analytics tools to attract, convert, close, and delight customers by delivering authentic and personalized digital experiences. Each year, HubSpot hosts their annual INBOUND conference in Boston during which they recognize a select few Partner agencies who’ve demonstrated exceptional strength in the inbound marketing space over the past year. The HubSpot Impact Awards provide agencies like Stratus Interactive the opportunity to showcase the exceptional work of their clients and their talented team. Stratus was awarded the HubSpot Impact Best Landing Page Award for their work with The Pennsylvania College of Art and Design (PCA&D), a long-standing client based in Lancaster, PA. Each year PCA&D hosts Open House events that are super successful at “selling” the school. Their challenge however, is reaching the right kind of students and converting them to leads that can be nurtured with information and offers about Open House. Stratus knew that to effectively convert potential students to leads, the landing page design needed to compel their creative soul. The final design sparked emotion and motivated action with large alluring images of current student artwork that provided an undeniable reason for prospective art students to consider PCA&D for their education. Check out our award submission to see why we won! Our award for Finalist in Client Graphic Design of the Year was for a website infographic for our long-time client, CoreDial, a revolutionary company that enables their Partner Channel to sell, deliver, manage and invoice for cloud communications services at the highest profit margins in the industry. This isn’t the first infographic we’ve done for CoreDial and it definitely won’t be the last because in the complex and competitive telecommunications marketplace, a picture is truly worth a million words to most effectively articulate the offering. We are proud of this infographic because it’s helped CoreDial attract, convert and close super-qualified new leads by giving prospects a clear understanding of why CoreDial is a solution that will make them exponentially more successful. Read our award submission and see why we won! 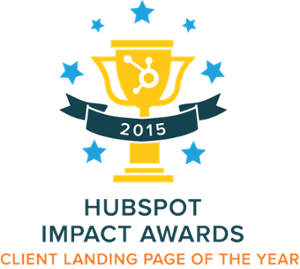 Check out the complete list of the 2015 HubSpot Impact Award winners here. Stratus Interactive is a full service marketing agency with a sweet spot in everything digital and interactive. The agency’s vision is to be the best at helping companies market, sell, and grow in the most authentic way possible. Each member of the Stratus team is dedicated to creating incredibly engaging consumer experiences using strategy, design and integrated marketing to make businesses wildly successful in this digital age. With over 25 years of experience helping B2B and B2C clients achieve unique and often monumental goals, Stratus believes in employing a measurable closed loop approach to all initiatives, ensuring holistic authenticity and impact across its clients’ strategic plans. Do you need help converting website visitors to leads with award winning landing pages? Let’s talk about how to boost your conversion rates.